This course gives the therapist practice in diagnosing and treating clients. It focuses on issues that most therapists have difficulties with, especially issues around charging for results, informed consent and liability. This course is primarily for therapists, although others can attend with instructors permission (based on adequate background for the material). Note that there are experiential sessions that can involve emotionally difficult experiences. 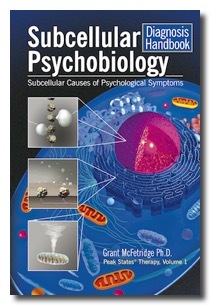 Subcellular Psychobiology Diagnosis Handbook: read chapters 3 (Pay for Results) and 4 (First Client Interview), and appendices 1 (Stuck Beliefs), 2 (Contract Examples), 3 (Informed Consent) and 10 (Computing Fees). Note: chapter 3 and appendices 2 and 10 can be found online in the article 'Pay for Results' for Therapists. 1.0 Nov 20, 2009: First description of this course.